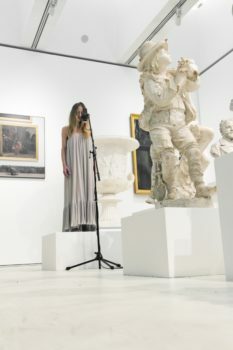 The music performance Audible Forms interacts with the “acoustic casts” of the plasters exhibited at Mart Museum and with the site specific sound installation. Microphones inserted inside the cavity of four statues recorded the resonance ratio between the negative spaces, interior and exterior, so as to create what can be called an “acoustic cast” of the four statues. 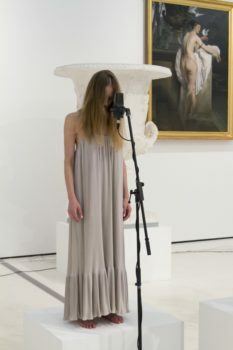 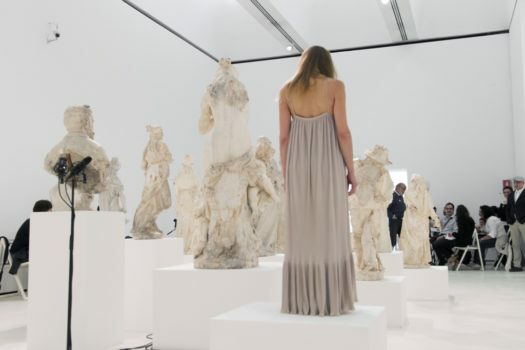 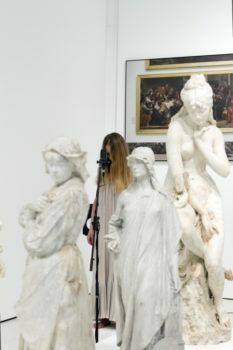 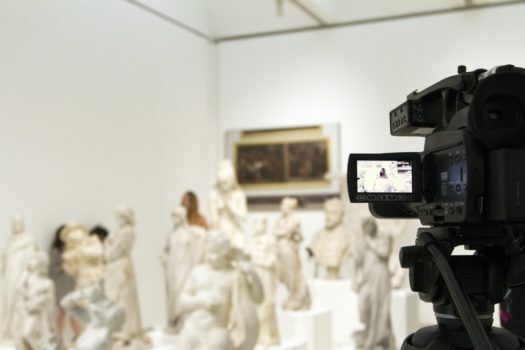 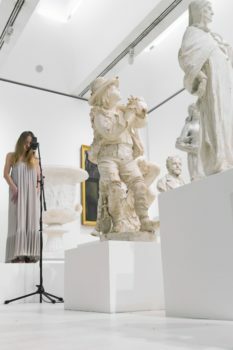 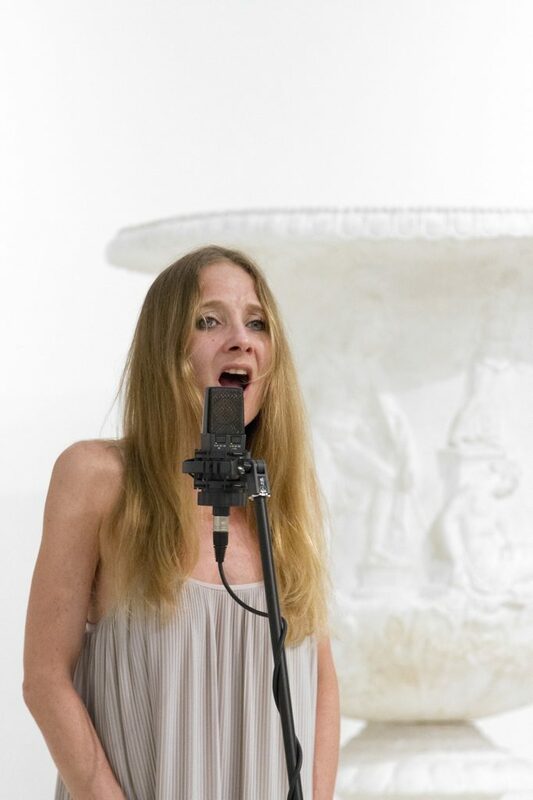 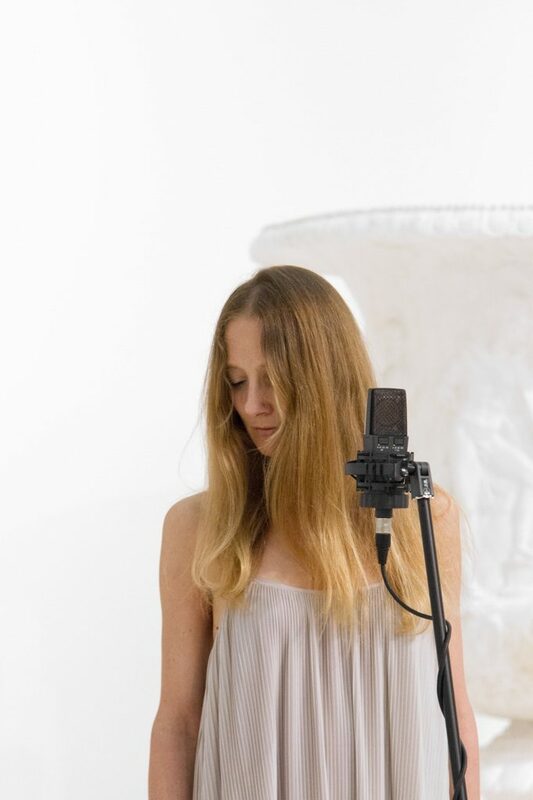 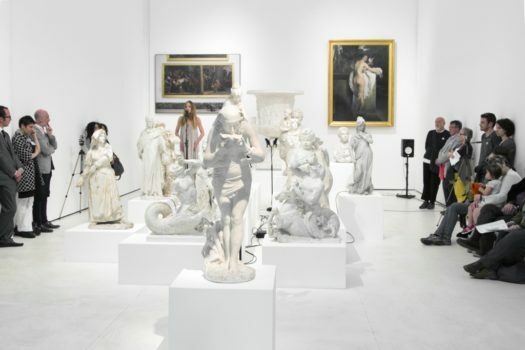 A singer, standing on a pedestal among the statues, sings on the frequencies of the plaster casts, creating a musical interaction between the sounds of the statues and her voice. 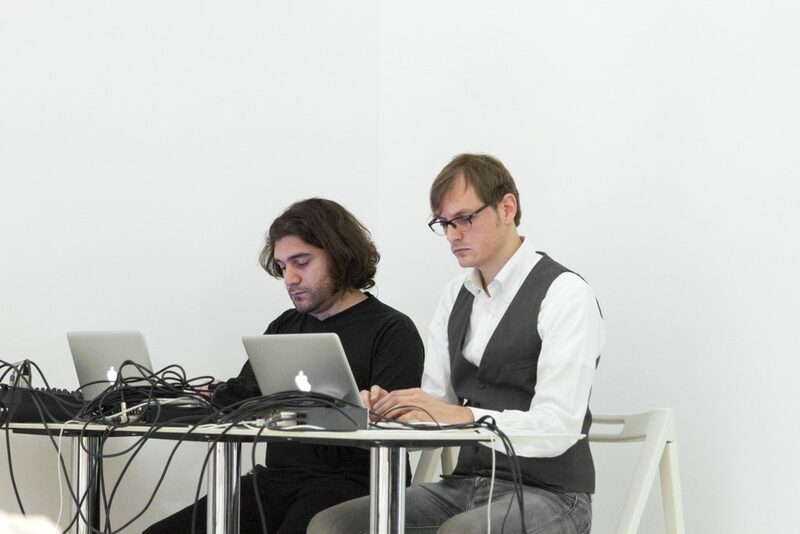 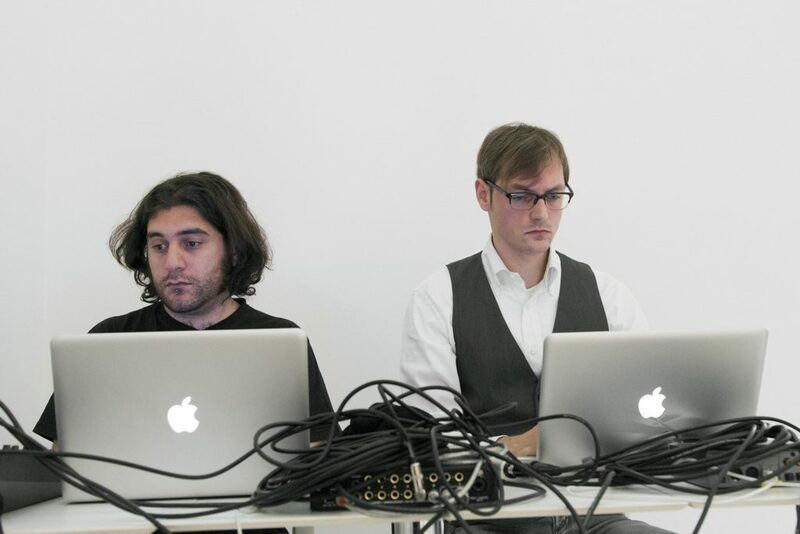 Real time voice samplings and live electronics processing create, at the end of the composition, a choir of voices as if all the statues of the room were singing together.